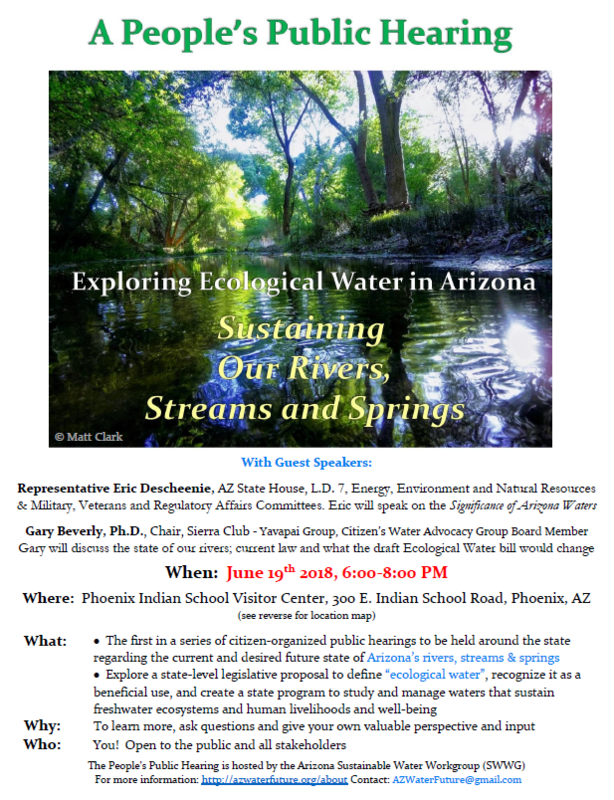 Join United by Blue, Peace Surplus, the City of Flagstaff, Friends of Rio de Flag, and Natural Restorations for their first ever joint waterway cleanup in Flagstaff, AZ! 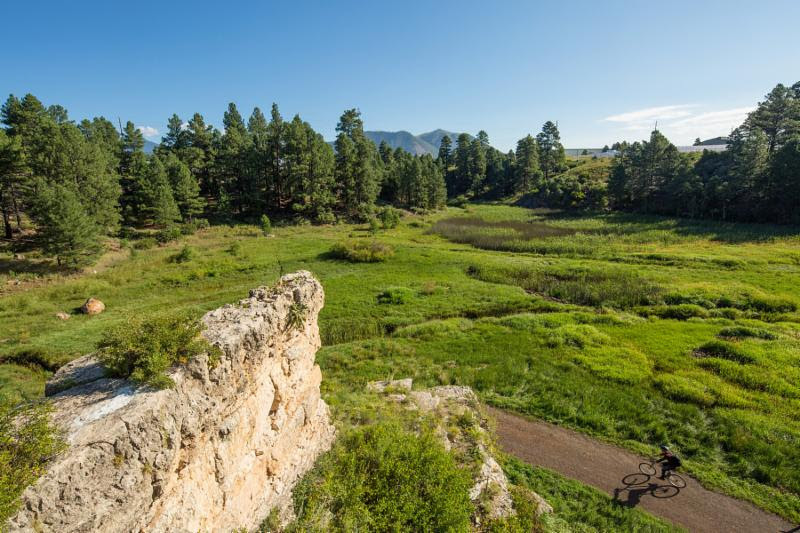 This cleanup is one of 20 that United by Blue is co-hosting nationwide this summer, from June-August, to establish community partnerships between their specialty retailers, conservation or municipal partners, and volunteers. Join us as we contribute to the cleanup, restoration, and education work that the Friends of Rio de Flag and Natural Restorations do to keep Rio de Flag healthy and beautiful all year round. We will clean up trash and debris along the shoreline of the river, preventing it from flowing downstream and harming wildlife along the way. Kick your weekend off right with an evening of cleaning, games, and protecting the Rio de Flag ecosystem! United By Blue provides all cleanup supplies, snacks, and drinking water. Please wear sturdy shoes that you don’t mind getting dirty or wet. Learn more about the cleanup calling 215-278-7858 ext. 4 or by emailing cleanup@unitedbyblue.com. Thank you hikers and guides! 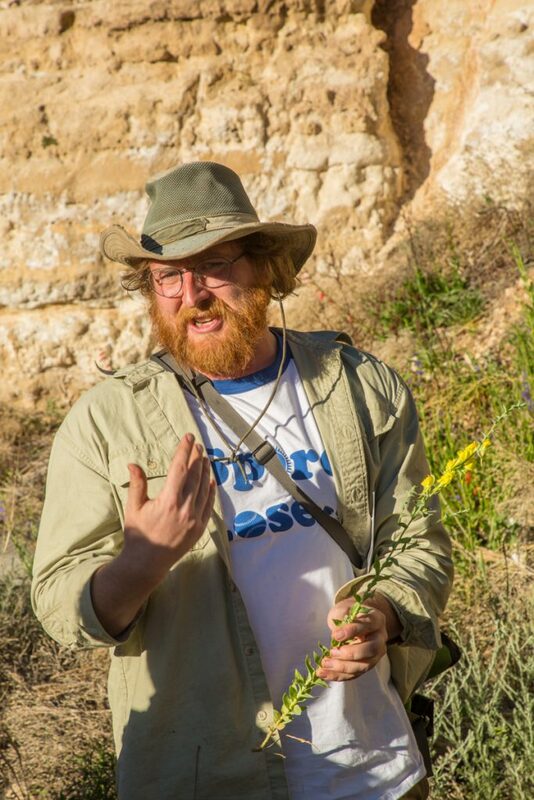 Michael Rotter, PhD candidate at Northern Arizona University, leads a guided hike at the Rio (I-40) wetlands on urban ecology. All photos courteous of Tom Bean Photography. 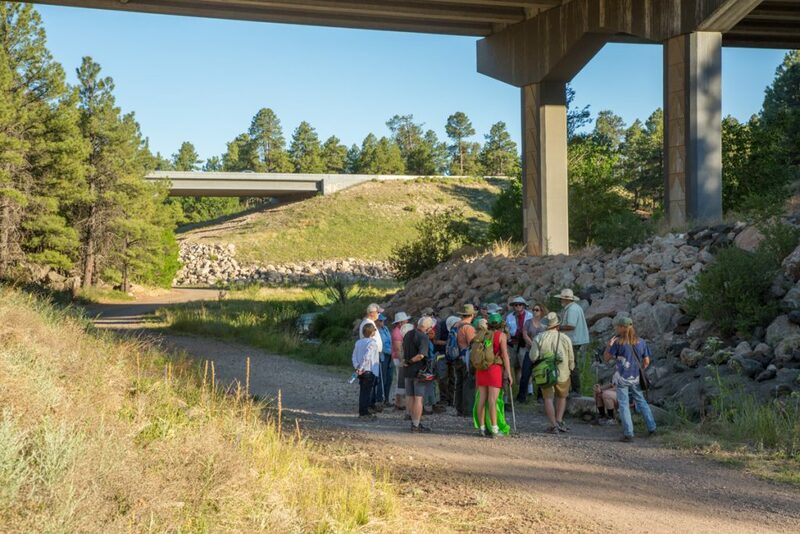 Thank you to all the hikers who joined us last night, Thursday, June 7th, at the Rio (I-40) wetlands! 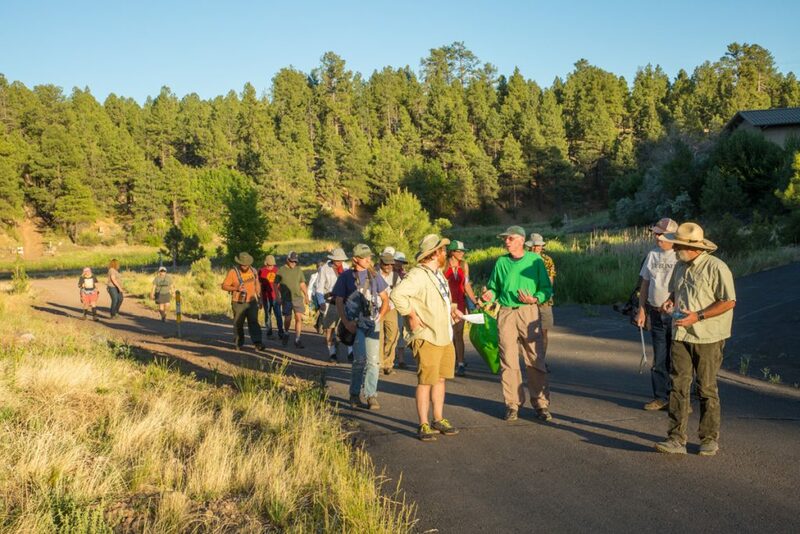 We hope to have you along again for the rest of our hikes that will occur this summer each month. 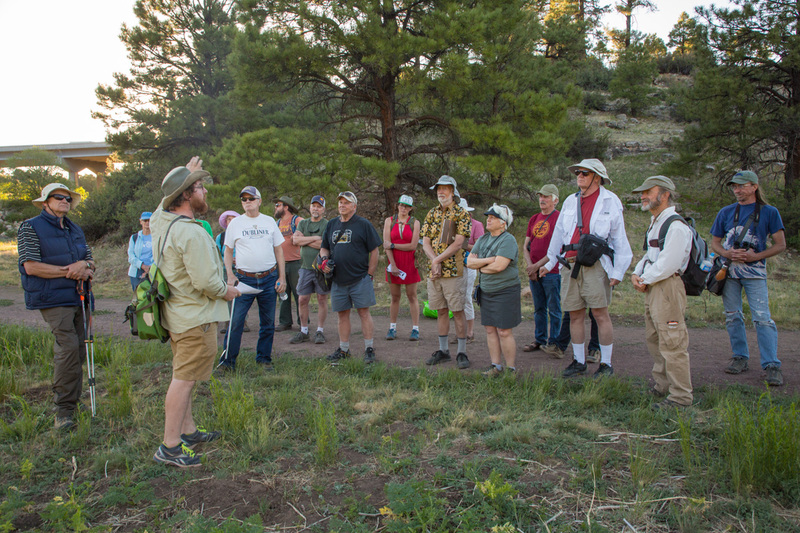 Thanks also to Michael Rotter, PhD candidate at Northern Arizona Universtiy, and Allen Haden, aquatic ecologist with Natural Channel Designs, for leading this informative hike. All hikes are posted to this website and our Facebook page. Please consider signing up as a member (it’s free) to receive notifications about hikes directly to your inbox. Michael Rotter describes the costs and benefits of invasive plant species. Allen Haden explains where water flows along the Rio de Flag and how reclaimed water supports wetland habitat at the Rio (I-40) wetlands. 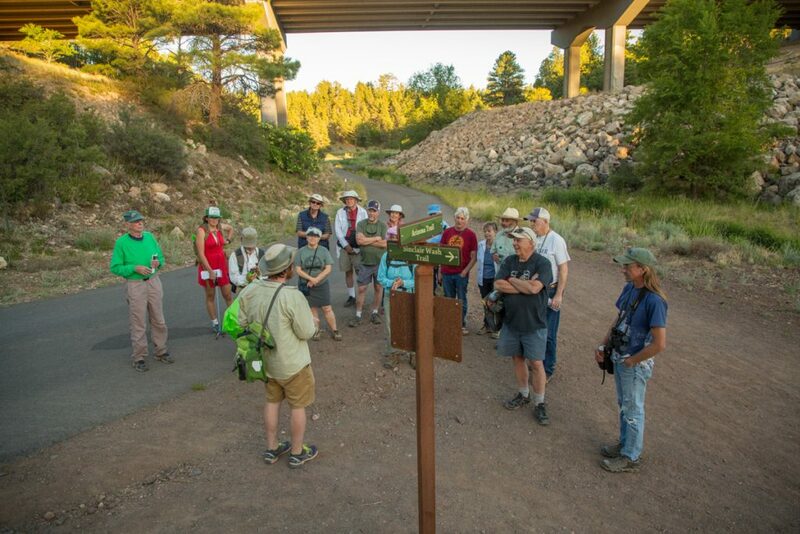 Hikers seek more information about urban ecology during guided hike at the Rio (I-40) wetlands. Michael Rotter describes best practices for managing dogs and other pets on walks and at home in order to protect wildlife. The Rio Wetlands as seen from a high point in Flagstaff, Arizona. Photos courteous of Tom Bean Photography. also providing recreationists with a chance to enjoy nature within city limits. 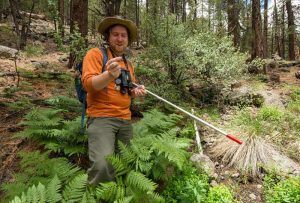 Mike Rotter examines an insect at Leroux Springs during his 2016 field season. of urban wetlands in supporting habitat for local flora and fauna. Co-leading the hike will be Allen Haden, aquatic ecologist at Natural Channel Designs, who will provide insight about the unique hydro-geomorphological characteristics of wetlands. Allen will shed light on how local communities build and sustain wetlands in Arizona for a range of purposes beyond wildlife habitat. Allen currently serves as a Board Member with the Friends of the Rio. southwest corner of the Sam’s Club parking lot. We are suggesting a $5/participant donation for this guided hike.